Wataa Slots has taken up with an innately awesome ninja theme, which submerges the player in the dark night Far Eastern world where masters of martial arts are exchanging blows and ninjas are moving like shadows towards their targets throughout Asian landscapes. 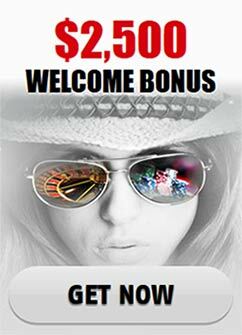 The game’s classic set up of 5 reels and 25 paylines will allow any gambler’s game to thrive through the numerous profitable symbols and bonus features. The game’s animation is stunning and its atmosphere is detailed and immersive, featuring exactly the type of action a passionate gambler requires. The coin value is as usual, varying from 1 cent to 10 dollars with a maximum bet of 250 dollars. The symbols pay from left to right, except for the scatter. Wataa Slots has a number of distinctive and epic warriors for symbols. In fact, the game is so cool it provides players with not one (as it is the usual case), but two wild symbols. One of them is Trevor, a kind of a chubby martial arts fighter who has taken up a defensive stance and is holding packages and the other one is Charlie, a fox Kung-Fu fighter who is in attack position on his icon. Charlie will show up only on the second and the fourth reel, while his partner in fighting evil Trevor shows up on the third reel. Trevor kind of has the advantage when it comes down to winning combinations because when it takes part in one, the payout of it will be multiplied by two. Charlie can also double the earnings won by a winning combination but only when it comes down to free spins. Both warrior friends however have the ability to replace all the rest of the symbols in the game with the exception of the scatter symbol. The scatter symbol is a deliciously looking Burger-probably the primary meal and the vital ingredient that makes these heroes such great warriors. Get at least two Burgers and your payout from that spin will be doubled. Get at least three Burgers and the free spins bonus feature will be started. The game’s bonus games are quite satisfying. Firstly, every time the free spins are awarded, players will be granted 15 of them. Here you face the first surprise of Wataa Slots as far as bonus games are concerned-there are two types of free games, one for each of the main characters-Charlie and Trevor and you will be able to choose one of them. In the Trevor Free Spins feature, the winning combination that involve the Trevor wild symbol will be multiplied by 10, 8 and 5. In the Charlie Free Spins bonus game, every Charlie symbol that shows up will grant a random number of free games between 1 and 3. As you already know, Charlie will double the payout of winning combinations it is involved with, since it is free games. Naturally, the game also has a jackpot and it is attainable through the highest-paid symbol of Wataa Slots and that is the Ninja Fighters symbol. Get 5 of those crews on an active payline and you will be given 5000 coins. However, if you happen to receive the jackpot award during Trevor’s free spins (and that is where you really see Trevor’s advantage over his fox friend), the multiplier of 10 could potentially kick in, making the award potentially 50, 000 coins. Can you calculate what kind of an award that makes when you consider the maximum bet? It’s not easy.